Is Invisalign More Comfortable than Braces? Tooth misalignment can result in discomfort, reduced functionality, or just dissatisfaction with your smile’s appearance.In the past, traditional metal braces were the go-to option for fixing alignment issues, but Invisalign clear aligners now provide patients with a much more pleasant treatment experience while producing the same great results. 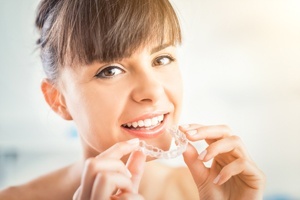 Invisalign can be used to correct a long list of teeth problems such as crowding, overbites, underbites, spacing, and general appearance. Traditional braces have wires that can poke your mouth, making for a painful phenomenon. Invisalign trays, however, are custom-made for your mouth. A new set of aligners is made around every two weeks to accommodate for your moving teeth, so the trays fit comfortably throughout your teeth-straightening journey. 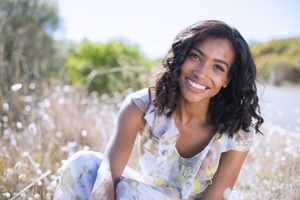 Once adjusting to the feeling of Invisalign aligners, many patients don’t even notice them! The removable aligners allow for easy maintenance so you can continue your regular oral health routine without having to adjust for any bulky hardware. Metal braces require you to avoid certain foods, but the Invisalign tray removability also means you can maintain your current diet without having to cut out any of your favorite snacks. For best results, we recommend you wear the trays for 22 hours a day and only remove them to eat and clean your teeth. Crooked teeth are embarrassing, but clunky metal braces can make you want to hide your smile throughout treatment. No one likes bringing more attention to a problem when correcting it, and with Invisalign, you don’t have to. The clear aligners are barely noticeable so you can straighten your teeth without the risk of feeling self-conscious about your appearance during the process. Thanks to Invisalign clear aligners, you can correct your crooked teeth comfortably and without embarrassment. Contact Dentistry at East Piedmont online or call 770.321.5558 today for a complimentary consultation to see how Invisalign can work for you! Dr. Patel not only offers continually current state-of-the-art treatment options to all his patients here in Georgia, but he also stays connected to giving back and serving patients around the world with needs for dental care. He annually travels to foreign countries to provide dental services to children, elderly, and every age in-between in parts of the world where these services are not available to people that live there, through the highly respectable Flying Doctors of America program, of which Dr. Patel is a member of the board. Dr. Patel and his staff are consistently improving and implementing the newest technologies through the top seminars across the country. 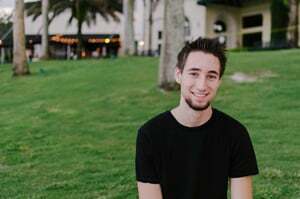 He is also a graduate of the Hornbrook Advanced Cosmetic Dentistry Continuum, which only about 5 percent of dentists worldwide have completed.